Minister of Public Diplomacy Yuli Edelstein records a special greeting for Israel Online Ambassadors, and encourages them to continue their work. Israel's Minister of Public Diplomacy, Yuli Edelstein, recorded a special message for Yisrael Sheli’s Online Ambassadors. In the video, the Minister gave a few tips about how to best represent Israel. “I want to take this opportunity to thank you all for being Israel’s best goodwill ambassadors,” said Edelstein, who listed three rules that are important to remember when advocating for Israel, be it online or face to face. 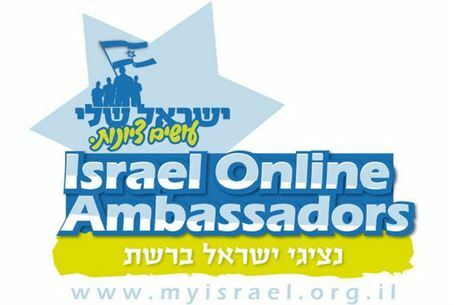 Israel Online Ambassadors is a network of Israel advocates who use online means in order to defend Israel against attacks on it. Its goals are to unite one million Israel advocates who will use the internet to respond to anti-Israel attacks, as well as to create educational content which will teach the advocates how to respond to these attacks using social media.